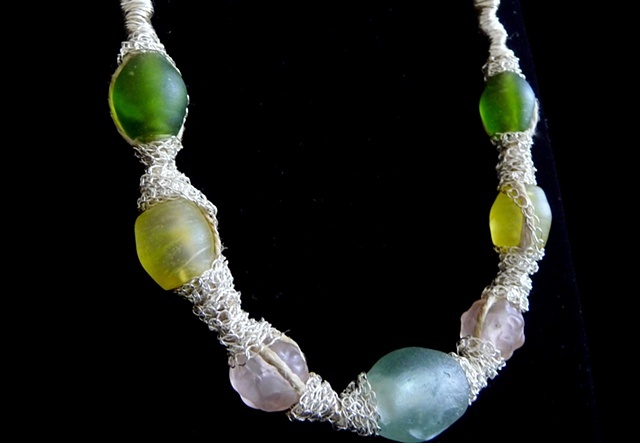 This long, tubular, hemp necklace is completely wrapped with fine silver wire and crocheted silver chains. It includes seven vintage Vaseline Trade Beads in soft garden colors. The main necklace section extends from sterling silver chain and is finished with a sterling silver lobster clasp.